Neewee, a Bengaluru-based startup that works with data-centric predictive and IoT solutions, this week raised $4 million (₹27 crore) in their Series A funding. IIFL Asset Management Ltd purchased a minority stake in this round, which also saw participation from certain Canada-based investors. Founded in 2014 by Suyog Joshi, Harsimrat Bhasin, Nataraj Soorkod and Gucchu Gul Lalwani, Neewee’s flagship product Bodhee help manufacturing companies digitise their systems and processes in six weeks to personalise manufacturing. Analysing vast amounts of manufacturing data, Bodhee reportedly generates ready for decision-making insights, makes forecast with precision, and helps users better utilise critical assets. It also has pre-built mechanisms to acquire data from various sources including assets. “We’ve already got validation of our solution through clients. This fundraise sets us up for our next phase of growth, which is to focus on growing European and Indian markets further while creating footprints in other geographies. We will also accelerate our product development to cater to the expanding customer base and use cases,” Harsimrat Bhasin, co-founder of Neewee told a noted financial daily. 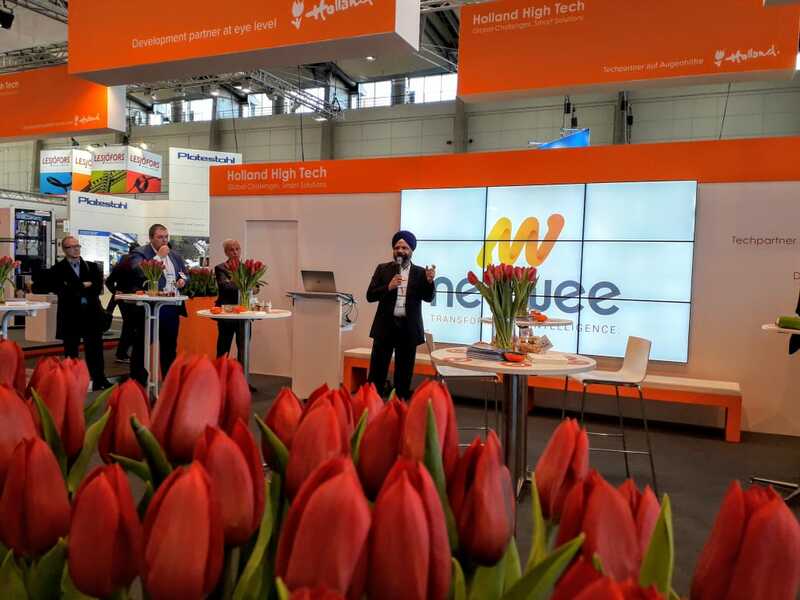 As of now, clients for Neewee include an aviation company, a major Indian watch maker and auto parts suppliers.